I know it's probably a tad too late to put up these pictures, but I just found them and wanted to share it with you all. I'd attended the launch of Sula Fest in 2008 in Nashik and their vineyard and it was a grand affair. Along with exceptional wine tasting, we were also taken on a tour of the vineyard. A concert with a mixed bag of artists followed next. 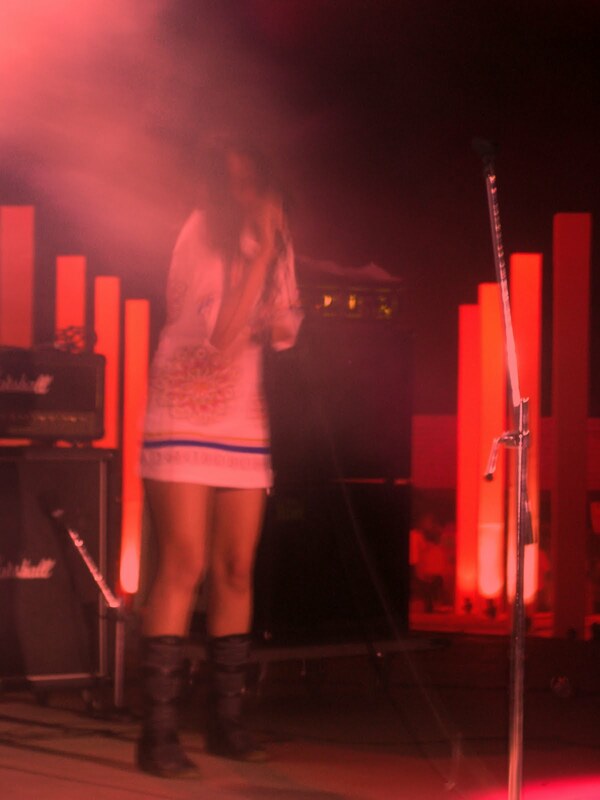 This was my introduction to now popular bands The Raghu Dixit Project and Shaair+Func. The performances were both great, however, I would have to favour The Raghu Dixit Project; they were phenomenal. Not only were people singing along, they were also dancing right next to the stage. Crushing grapes; something I thought to be rather exotic before I did it. 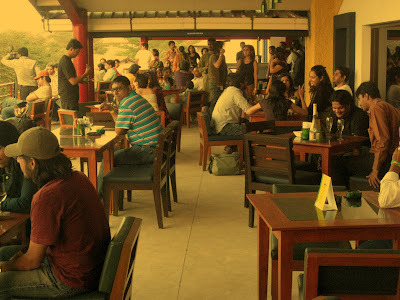 People enjoying the fine taste of wine at the terrace restaurant. 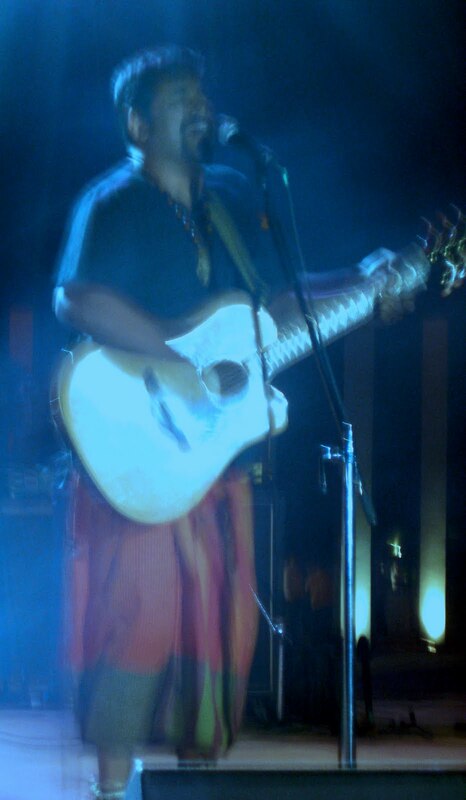 The Raghu Dixit Project - this was the first time I'd heard their music and WOW, what a brilliant performance! They sure know how to captivate the audience.